I recently had the opportunity to make a quilt from my friend Emily Dennis of Quilty Love new book Modern Quilts Block by Block. I had a tough time narrowing down which one I wanted to make - you guys - they are all SO good! The one that really stuck out to me was the Sideways Arrows quilt - and I had the perfect stack of Kona solids to make it in. Perfect timing on the fall colors right? The original pattern uses the same white background and Essex Linen, but I decided to keep my colors in a row and do an ombrè look with them. One thing I love about Emily’s book is the clean and easy pattern layout, she even has shortcuts for things like these flying geese that make the piecing an absolute breeze. 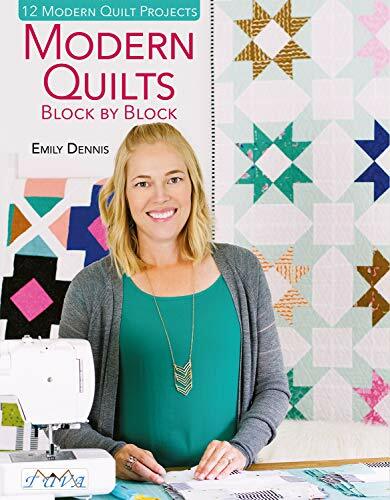 For those who love modern quilts and enjoy making a repeating block design - my fav - I highly recommend Emily’s book. You can order directly from her shop or find it at your local quilt shop or Amazon.